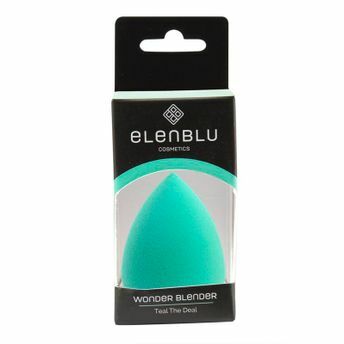 Elenblu Wonder Blender has an edgeless shape, allowing easy and comfortable makeup application with minimal usage of the makeup product. The Wonder Blender reduces wastage of the make up product & ensures streak-free application. The product is excellent for foundation cream, liquid or powder application. For a large surface area, the product is easy & smooth to roll or dab the makeup around & has a pointed tip for application on specific points. It has a special sponge material, which helps absorb water to enlarge and dispel quickly. The enlarged sponge with small amounts of water restricts usage of too much product thus being very efficient in makeup application.